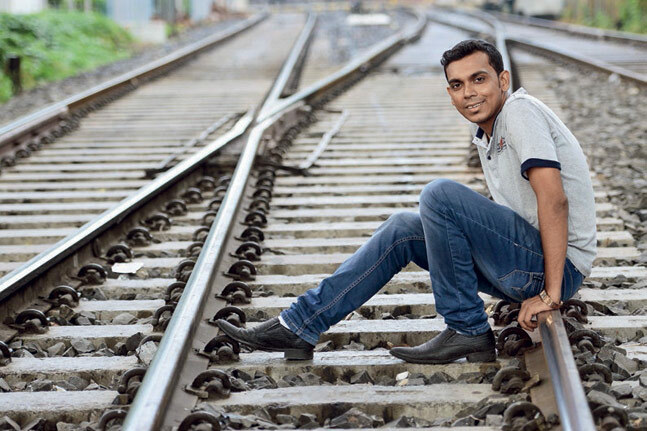 In his father’s footsteps: An English speaking science graduate from St Xavier’s College, Alam could have led a non-descript life working at desk job in Kolkata. But it was his father Mohammad Alangir’s dream that he made his own. Tilajala Society for Human and Educational Development (SHED) started as school for the slum children in the 1980s. Now it’s an organisation that works with slums, squatters and pavement settlements in not just in Tiljala, Park Circus, Topsia, Mir Meher Ali Lane, Tangra, Motijheel, Narkeldanga and Belgachia but also outside the city limits to North and South 24 Parganas and Jalpaigudi. Alam grew up watching his father teaching and taking volunteers and foreign aid representatives across the slums to show the work that was being done. Serving the marginalised: He teaches science and English to the children and adds proudly that most of the slum people are literate now. He is currently focusing on the rag pickers of Tiljala who he called “super marginalised”. “Even the slum dwellers shun them and think them dirty. The women rag pickers take immense personal risk and there’s no one to speak for them or talk to them,” he says. His mission is to rehabilitate their children and to give them a sense of dignity. “They are doing a service to the city by keeping it clean. We give them gloves, proper gear and have tried to put them through various corporate institutions so they can collect better managed waste and earn a profit from it,” he says. Rehabilitating them to another area or trying to teach them to take up any other work is difficult as they tend to see only the short term profit in it. They do not see the benefits of education or vocational training. “Of the rag pickers or slum dwellers, it’s the women who are more willing to learn and if you educate the girls, the chances of rehabilitating the next generation is much better,” he says. He was also chosen as a He For She representative to the Italian Parliament and accompanied Mehjabin Begum, a slum girl who is now the cocoordinator for the Tiljala Shed Gyan Azhar Library for destitute girls, to Rome.